Businesses face constant pressure to reduce labor costs within their supply chain, yet with customers placing more orders in small quantities, solving this challenge is often easier said than done. A great place to start, without question, is to streamline the order/stock picking process, wherever and however possible. It makes sense to first focus on picking, packing and shipping outbound orders, since these functions generally consume 50% or more of a warehouse’s labor. Reduce the likelihood of human error by limiting the amount of hands that touch stock during order fulfillment, thereby reducing additional repacking or shipment-checking. Once picked, inventory should directly place shipments on trucks. Picking stock straight into shipping boxes, instead of a tote, further helps to minimize mistakes. When formulating your company’s standard operating procedures, aim to double-verify most steps in the picking process. (You can always limit this provision later.) Use pick verification flags to have pickers scan and verify LPN, quantity, item, etc. Count Back or Count Near Zero can also be used to count remaining inventory in a location to validate picking. To boost efficiency within a warehouse, brainstorm different storage strategies. In one example, slotting can reduce congestion, accidents or product damage, and improve storage intensity and retrieval times. Review storage strategies regularly to align practices with seasonal demand. Storing multiple SKUs in the same location can drastically reduce picking efficiency, since the picker needs to search through multiple SKUs in order to find the correct item. Make sure there is a separate, distinct pick location for each unique SKU. Significant efficiencies can be achieved by grouping together high-volume, commonly shipped SKUs, thereby cutting down on travel time for pickers. Make sure this special area or zone is adequately designed to accommodate intensive activity levels. 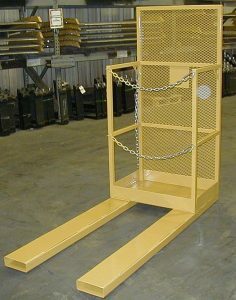 Order picking productivity is higher at ground level than when compared to items stored vertically. So if you have the real estate, try and keep as much inventory as possible at ground level. If you run out of room, keep lower-volume items stored vertically, with high-frequency stock kept at ground level. The media used to store items in a warehouse can also impact productivity. To analyze this relationship, use the variable known as cube movement velocity, which measures the volume of movement for each SKU. The equation is cube movement velocity equals movement in units, multiplied by the cubic dimensions of the unit. High cube movement is best suited for pallet racking, while low cube movement should be designated for smaller storage media formats, like shelving bins. Various order picking methods may yield varying results. Options include: zone picking, in which each order picker is assigned a specific zone and will only work within this zone; batch picking, where an order picker is assigned and picks multiple orders simultaneously, thus reducing trips to each location; and wave picking, in which all zones are picked at the same time and the items are sorted later and consolidated into individual shipments. Since order pickers devote roughly 60 percent of their time walking or moving product around, an automated solution, such as a conveyor and powered workstations, can greatly reduce picking time and boost productivity. Travel time can eat up as much as 50% of picker hours, while increasing harmful worker fatigue. To boost picking accuracy, eliminate the amount of walking pickers must do, thereby lowering fatigue, and consequently, accuracy. Employees who can pick orders while remaining in the same place can accomplish more, and fast, with fewer mistakes.